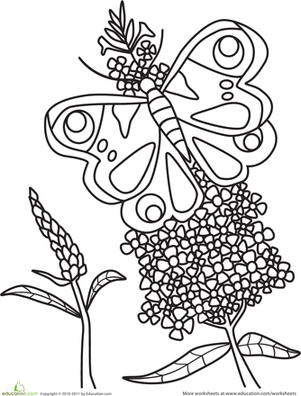 Kids who love creepy, crawly things will truly enjoy this insect coloring page. Using their colorful imaginations, kids bring an ant, ladybug, dragonfly, plants, and more to life, exercising their fine motor skills as they colour! 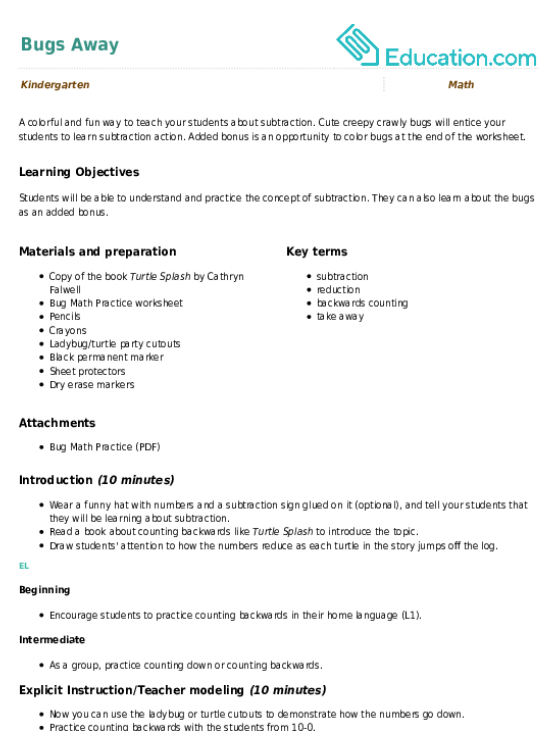 They also get a glimpse of insects in their natural habitat. 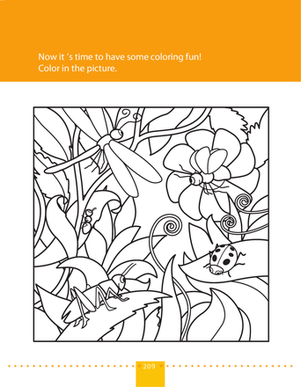 Here's a bug coloring page with insects galore! Kids will have a blast bringing these detailed creatures to life with colour. 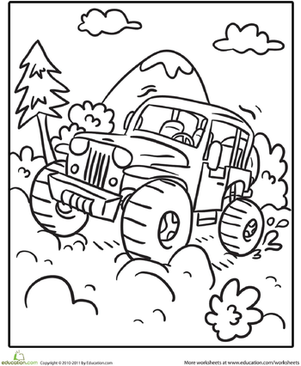 Get in touch with nature using this scenic coloring page. 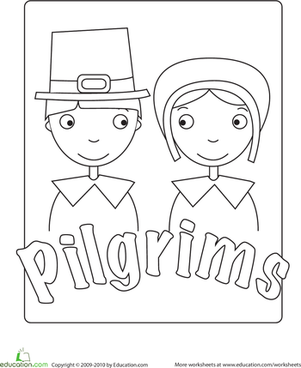 Let your little one colour these deer as they dash through the woodlands and streams. 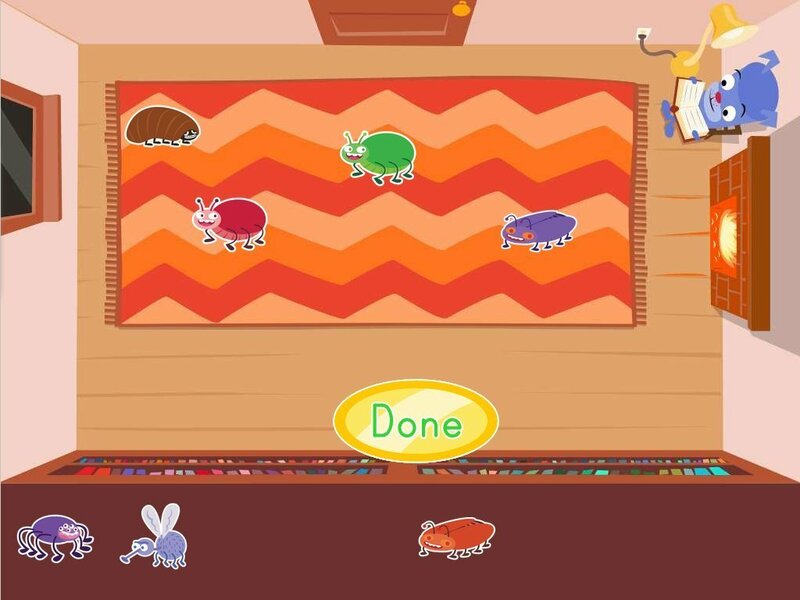 Cute creepy crawly bugs will entice your students to learn subtraction action. Added bonus is an opportunity to colour bugs at the end of the worksheet. This fairy rules the forest in her leafy dress. 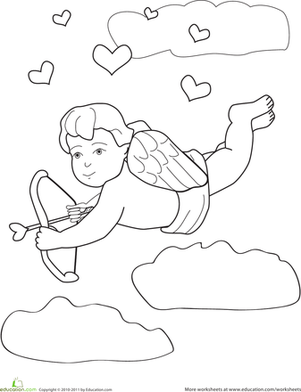 Grab some green crayons and colour her in!